Congratulations to Dan Windell, the winner of the 2019 PB&J Final Four Pool. He has won the $2095 pot and, more importantly, earned the honor of being listed on the PB&J's Winner's List! Congratulations also to Cheston Gouge and Jeff Warren, who tied for 2nd place and will split a whopping $5. Click here for a list of the standings after Round 6 (and to view colored and printable brackets). Click here for a list of the standings after Round 5 (and to view colored and printable brackets). Click here for a list of the standings after Round 4 (and to view colored and printable brackets). Click here for a list of the standings after Round 3 (and to view colored and printable brackets). Click here for a list of the standings after Round 2 (and to view colored and printable brackets). Click here for a list of the standings after Round 1 (and to view colored and printable brackets). Click here for a list of who picked each team to advance to the Round of 32. Click here for a list of who picked each team to advance to the Sweet 16. Click here for a list of who picked each team to advance to the Elite 8. 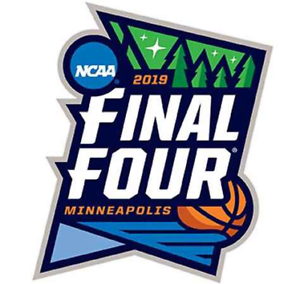 Click here for a list of who picked each team to advance to the Final Four. Click here for a list of who picked each team to advance to the Championship Game. Click here for a list of who picked each team to win the 2019 National Championship. Do not check these lists unless you want to know if you have been mathematically eliminated. Click here to see your chances to win the pool and some key results you need during Round 5. Click here to see your chances to win the pool and some key results you need during Round 4. Click here to see your chances to win the pool and some key results you need during Round 3.